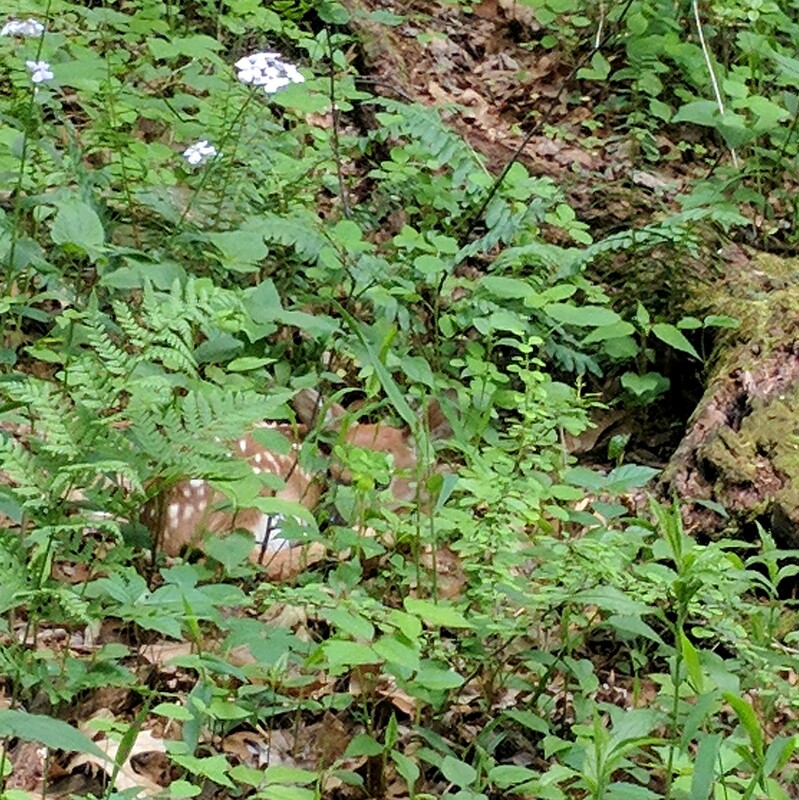 She is safe, she is hidden & mama is nearby. I love the book Lost in the Woods by Carl Sams & Jean Stoick. Gives such wonderful information about these young ones with amazing nature photos. 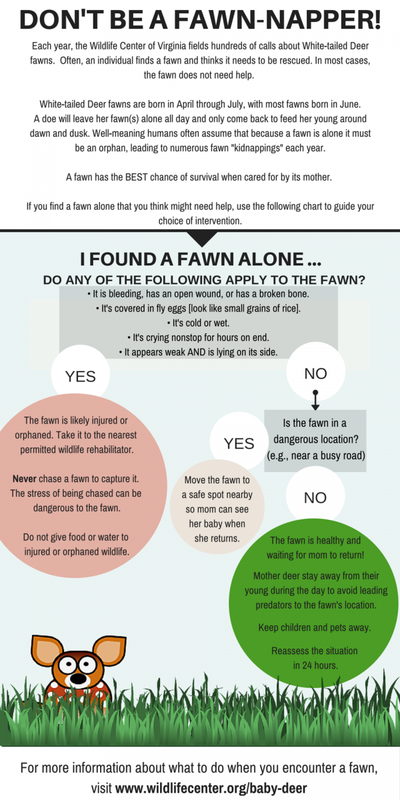 Some think that a fawn that is laying alone is in need of help. Take a look at this infographic for more information. When in doubt contact your local wildlife rehabilitator for advice. If you are in Pennsylvania visit www.pawr.com to find the rehabber closest to you. Here is the first little one we found just this morning. 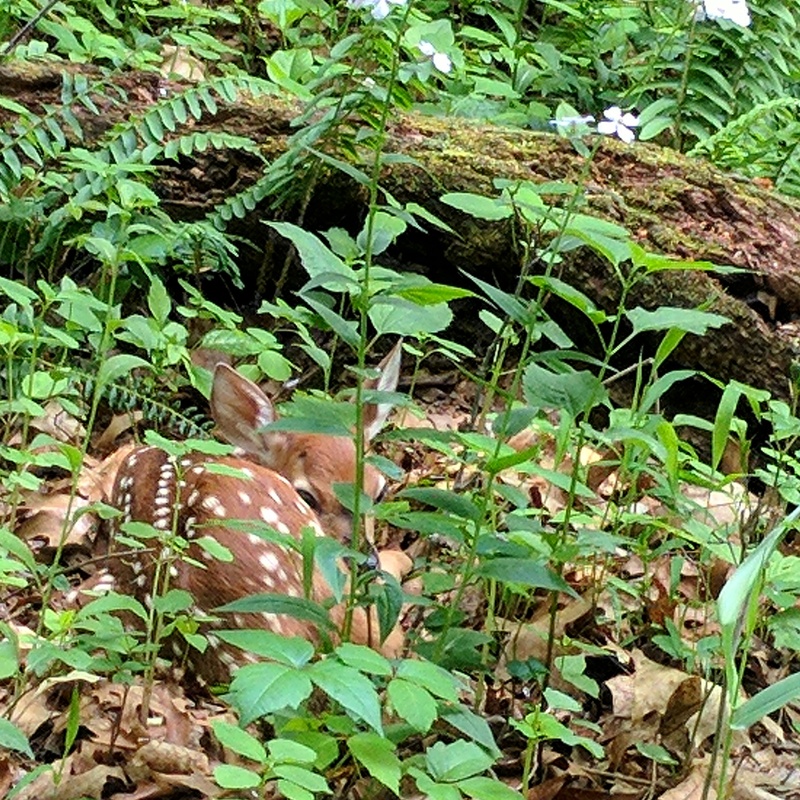 Look at how the spots really help her blend in!